Content and structure of these websites are copyrighted. The duplication of information or data, especially the utilization of texts, passages of texts or pictures requires the previous consent of us. The use of our wording, a replica or duplicate of our product is prohibited without written consent and will principally be criminally and civilly prosecuted. toFOUR® (register number 302013053216), golayer® (register number 302008050282), xirror® (register number 302008025046) and the picload logo (register number 302011056918) are registered trademarks of the toFOUR GmbH i.L. at the German Patent and Trade Mark Office. Trademarks are generally not marked as such. The absence of such indications in no way implies that these names belong to the public domain in the context of trademark or copyright law. The information on these websites are constantly checked and updated. Despite all the care that is taken, information may however have changed since the last update. We cannot be held responsible for it or guarantee the timeliness, accuracy or completeness of the information provided. The same applies to all websites referred to by hyperlink. 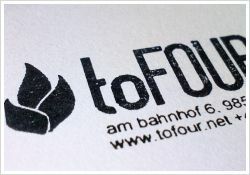 The toFOUR GmbH i.L. is not accountable for the contents of websites reached via these links.